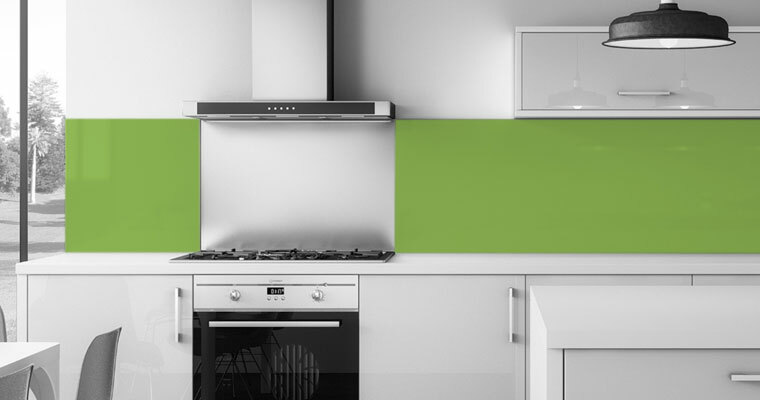 Chosen your worktop, but have you thought about what will cover the area between the top of your worktop and the bottom of the wall cabinets? Conventional wisdom pushes towards tiles, or simple paint, however, did you consider that the grout between tiles will become yellow and dirty very quickly, and paint does not offer the best finish which your kitchen deserves as you will have to repaint this surface quite often due to the nature of cooking in the kitchen. We recommend using a glass splashback – this is special toughened glass which is engineered to withstand extreme heat and is shatterproof. This glass can be painted in ANY colour of your choice. Contact us for a competitive quotation today.